Taylored Expressions: He is Risen! 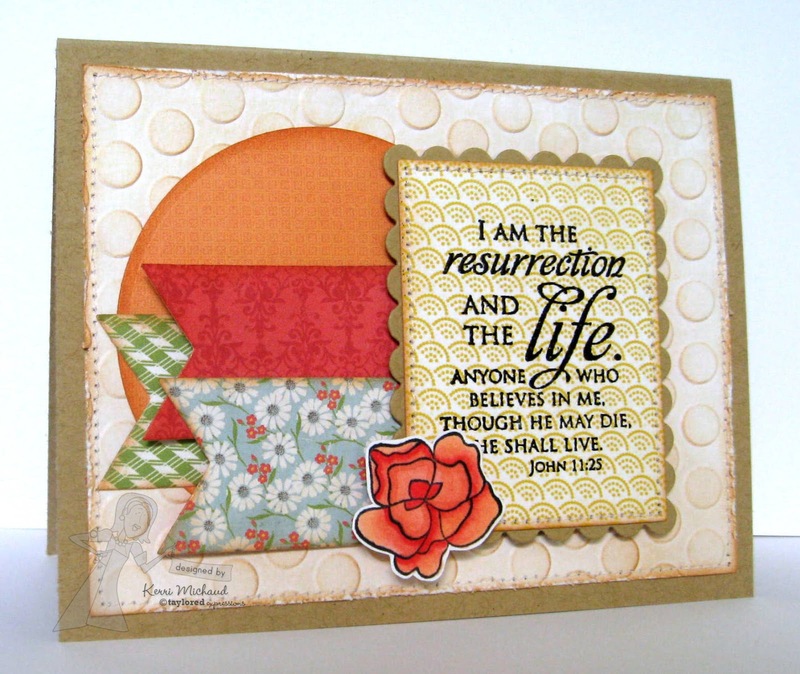 Please scroll down for my Your Next Stamp Fun Friday card! Hello again! I wanted to share a card I made using this beautiful and promising verse from the Taylored Expressions set He is Risen. I stamped the verse on to some Echo Park Paper Co. For the Record 2 dp with some Versafine Onyx Black Ink and then heat embossed it. The flower I added comes from the TE set Teacup Bouquet. I colored it up with Copics, cut it out and popped it up with foam tape. This awesome layout is the Deconstructed Sketch #104. I used the Banner Stacklets 1 Dies to cut the flags. That's it for me today! Thank you so much for stopping by and have a fabulous Friday!